Andew 3-Alarm Module - Paragon Innovations, Inc.
Paragon Innovations designs the Andrew 3-alarm module. 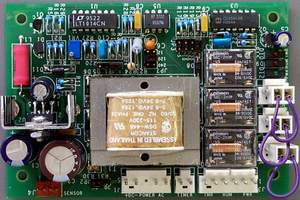 Andrew Corp., a Richardson, Texas-based developer of humidity- control systems for microwave waveguides, wanted to create a single module that combined monitoring for excessive run-time, high relative-humidity levels and power failures. Older systems used three separate systems to detect each failure. It was Andrew’s first electronic design, so they turned to Paragon Innovations. Paragon designed, developed and produced the 3-Alarm Module, fitting it with a wide-range input power supply and the ability to detect and sound alarms for excessive run-time, power failures and humidity levels above 7-percent relative humidity (RH). The module is still in production today. Andrew has a universal solution which continues to increase the ROI of the design effort. Andrew has a single product which has proved useful in multiple systems. Complete hardware and software documentation – including IP rights – was provided to Andrew as a value-add. Innovative power supply design, reduced inventory requirements, and simplified integration. First electronic design for Andrew Corp.
Andrew Corp. benefited from the Paragon Innovations philosophy of integrated hardware and software engineering processes, innovative feature set analysis, complete documentation and client ownership of IP. The project has survived the test of time, and continues to be a value to Andrew.